08.12.15 is DOUBLE-DOWN D.J. 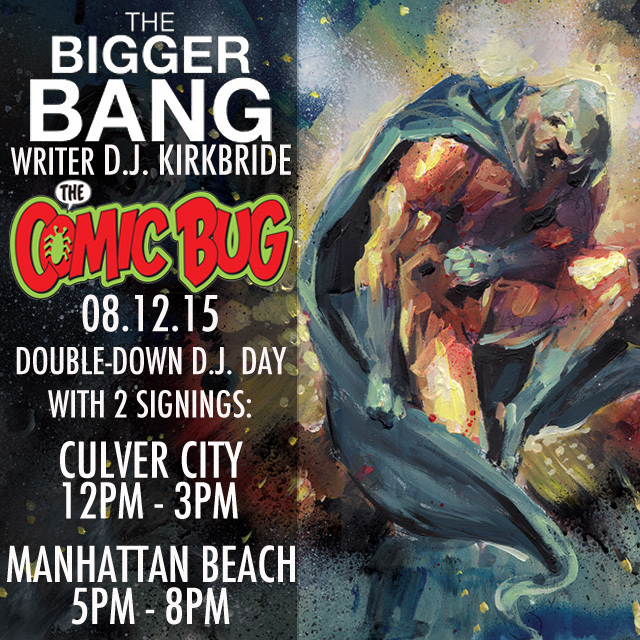 DAY at THE COMIC BUG CULVER & MANHATTAN BEACH! Posted on July 30, 2015 by D.J. I’m only 1 person, but I’ll be doing 2 signings at The Comic Bug’s 2 locations on Wed Aug 12! Stop by to pick up AMELIA COLE volumes 1-3, THE BIGGER BANG, and NEVER ENDING at my discounted signing prices. Good times are sure to be had!